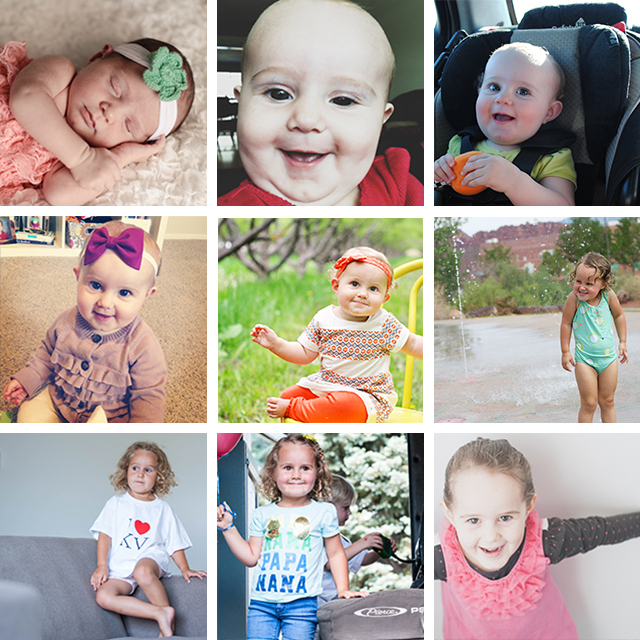 Today's the day - this daughter of ours has turned FOUR! Four?! This morning Sadee was sitting in the living room feeling frustrated that Cameron was bugging her. She simply said, "Please don't, I'm a big 4-year-old now." Truth. She's owning this new age of hers. Those first few weeks after she was born, I remember randomly crying thinking about her having to ever grow up. How was it possible to love a tiny human more when they were less tiny? And even though it seemed like yesterday, there is very little I remember from way back then. Miss Sadee was tiny and beautiful. Now she is that and so much more, my heart could burst. A few nights ago as we routinely snuggled in her bed before she fell asleep, she wrapped her arm around my neck and said, "I want to be close to you, Momma!" And that, my friends, was turned me into a puddle. There's nothing more powerful when the love you feel for a human is returned right back to you via that same human, and boy does Sadee know how to show love. At age 4, our sweet Sadee is continuously curious and adventurous. She loves to learn, read, teach and play. She has a smile on her face 99% of the time and is game for anything. She continues to be soooooo obedient and kind, just as she has been since the day she was born. She's both thoughtful and carefree, all at the same time. Truly, she is endlessly patient and forgiving and helpful. Life would not be complete without her and everyday is better because her. Sadee - we LOVE you! We know that you felt special today and could see it in your eyes. You loved being spoiled and choosing the activities. Everyday you are becoming an increasingly more remarkable person and it's a joy to watch you grow. Thank you for everything you continue to teach our family and for the wonderful example you are to all of us. Happy, happy birthday! We loooooove you!